Nothing says fall like baked apples. With this recipe, you'll be able to make your own delicious version at home. Which Athlete Gave Up Carbs, Sugar & Dairy for 67 Days? I feel like every time apple season rolls around, we forget everything we learned the year before and begin again. The apple is the ultimate fall ingredient. Every apple is different and I find varieties change from season to season. Instead of trying to control it or understand it, I embrace the research! I have some observations that I live by from pies to apple salads to applesauce. The Macoun variety is similar to a McIntosh but has a bolder flavor with more tartness and a slightly floral aroma. I love it mixed into a salad with some seasonal “bitter” greens, like dandelion, arugula or escarole, and slices of a creamy blue cheese. What about the famous Fuji and Gala varieties? Great texture. So good cold out of the fridge. I do find them slightly better in earlier fall when they are smaller and firmer. What about the endless pie question? What to use? I spotted the first Rhode Island Greenings this weekend, and I have to say they are a close rival for the ultimate pie apple: Granny Smith. They are both green skinned, firm, tart (loaded with malic acid) and can stand up to the heat of an oven. Golden Delicious and Jonagold are two other good pie apples and are generally sweeter than the Grannies and Greenings, if you prefer a pie that is sweet. Even better? Mix a bunch of different ones together! The apple police are not going to come and arrest you! My mother always baked apples whole this time of year, and I will admit that a good baked apple can rid me of the desire to make a doubled-crusted apple pie with cheddar cheese crust. I simply core the apple and stuff the hole with some brown sugar, a dot of butter, lemon or orange zest and a sprinkle of cinnamon and ground (or fresh) ginger. Bake until tender. Of course, a large scoop of ice cream to go with the apples only makes things better. For baking whole, my favorite is the Rome and Braeburn varieties. Round, ruby red and comforting, these apples almost seem to develop a fluffy texture when baked. Applesauce is an opportunity to experiment. If I have some apples lying around that are starting to go south, I make applesauce. It’s something I turn to fix a situation about to go wrong. I always have a few McIntosh, Macoun or Northern Spy apples around because they are brightly flavored and still offer good sweetness. I like to round it out with a few Winesaps or Baldwins for their juicy flesh and a few Cortlands or Cox’s Orange Pippins for a brighter color and tangy edge. For candy apples, I love to use the small and surprisingly flavorful Lady apple—they are the perfect size and texture. Crab apples, though very cute and petite as well, are better when cooked into a jam because they are loaded with pectin. I couldn’t believe it the first time I cooked some crab apples. The resulting jam was so naturally thick and delicious and, of course, very tart! Most important thing? Buy what you like and don’t worry about what you are supposed to be doing! 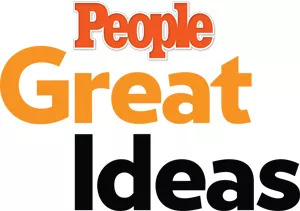 Check out the recipe for Alex Guarnaschelli’s Baked Apples at PEOPLE Great Ideas. Alex Guarnaschelli is an Iron Chef, Food Network celebrity chef, author of Old-School Comfort Food and the executive chef at New York City’s Butter restaurants. Read her PEOPLE.com blog every Tuesday to get her professional cooking tips, family-favorite recipes and personal stories of working in front of the camera and behind the kitchen doors. Follow her on Twitter at @guarnaschelli.